Did you know that a business without a domain name is business without an identity? At Future IT Solutions, we offer Domain Hosting at cost-effective pricing. 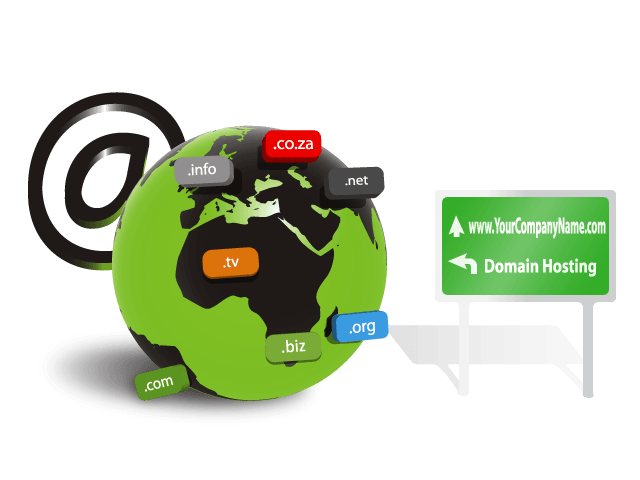 We register domains for business and personal use. This allows domain hosting registrants to have a customised domain based business or personal name. Our web hosting packages has lots of features and allocated disk space differing on the plan type. You can register you domain sign up your domain name with any hosting packages or you can register a domain without any package. Domain/website hosting is not for hosting websites it is also for hosting your mails; you get an IP address specially appointed to your business all your emails’ traffic is redirected to your own domain name without having to signing up with any email system provider.